Change the aesthetics of your bathroom with the attractively simple, yet highly modern 30" Alegra Single Bath Vanity. 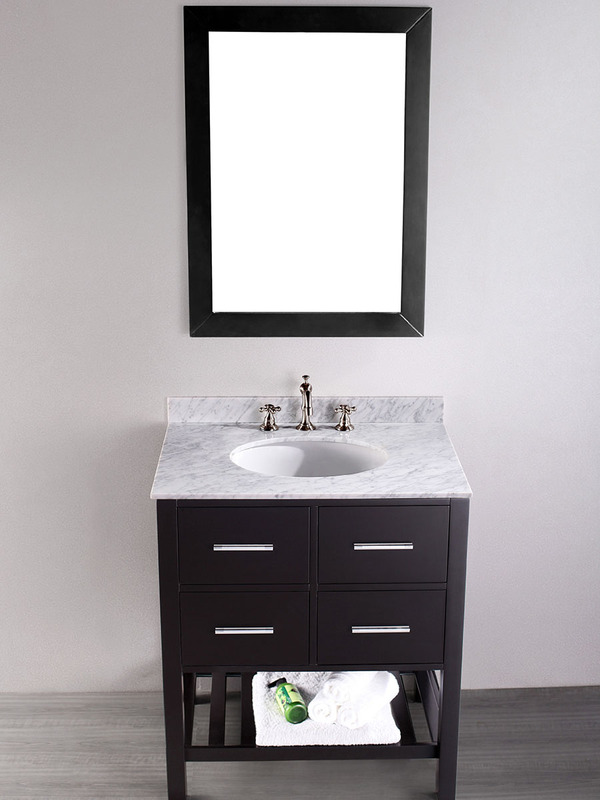 Made with a gorgeous Black finished solid birch frame, this vanity is designed to withstand daily use with poise and durability. Its cabinet combines two soft-closing drawers and a towel rack underneath to give you plenty of storage space for your sink-side necessities. Its top is made of a beautiful Carrera White Marble and matched with a ceramic sink. The front of the cabinet is adorned with four silver finished handles, giving the Alegra a completely modern, sophisticated appeal. 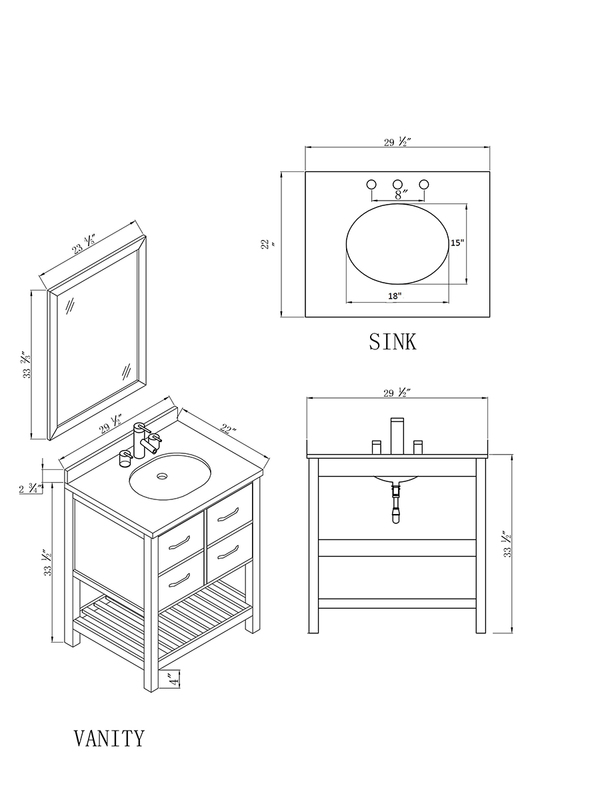 Add its matching mirror to complete your new vanity's look.